An amazing opportunity came my way. 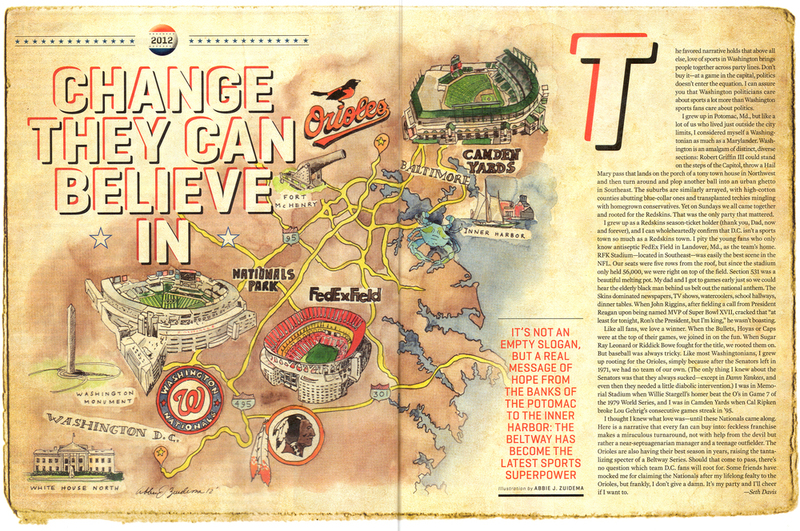 Would I be interested in doing a map for Sports Illustrated? 48 Hours-Concept, drawing, outline & color in less than 48 hours. With edits in between. I have never painted so fast in my life! After the map was finished, I literally stood in front of the fan to dry, so I could scan it & send it on its way. Totally insane & gratifying all at the same time. Bye bye stage fright.